Animals play a key role in the lives of many people around the world. They help people with day to day living, bringnig them joy through visits, helping them through therapy exercises & providing them with a livelihood. Animals have an amazing ability to reach those parts of us that many people can't reach - right into our hearts, at a stroke. It's like they have a direct line to our very being. The true animal lovers among you will know what I mean. An animal's love is absolutely pure. Consequently for these and other reasons, many of us will do things for animals we wouldn't perhaps do for people. And many animals, such as dogs, donkeys & horses whose temperaments are the right ones, can be trained to help people. 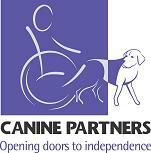 Enter animal assistance therapies & specialist charities. The Cinnamon Trust have a network of volunteers to help the elderly & terminally ill only with pet care, including dog walking. The charity is always keen to hear from reliable, pet & people loving individuals who understand the very special & unique bond that exists between pets and their elderly owners, in particular. Since the Trust has a database of care homes which take pets with their owners, volunteers may find themselves helping with pet care at care homes, as opposed to the owners' private homes. Riding for the Disabled Incorporating Carriage Driving have around 18,000 volunteers who help people with disabilities enjoy achievement, have fun & therapy as they enjoy their time in the saddle or having a go at carriage driving. They have a variety of volunteer roles, such as the Session Volunteers who give support to riders & drivers by leading horses, side walking, helping them to mount etc, and coaches, instructing the sessions. There are other roles, too, so click here to find out more. Many of the assistance dog charities need puppy socialisers or puppy parents (terms will vary) to educate & socialise puppies in the first year of their lives. The idea is that you train the puppy for a year, giving him or her the socialising & training he needs; you'll probably get your pup used to going into places such as supermarkets, on trains, into the hairdressers, into schools & so on. At the end of that time, you'll pass them back for more advanced training. The hard part is clearly lettting go of a young dog (six months to a year, depending on the charity) you love very much. The wonderful part is that you know they are going on to help someone else live a more indepedent, fulfilling & happier life.